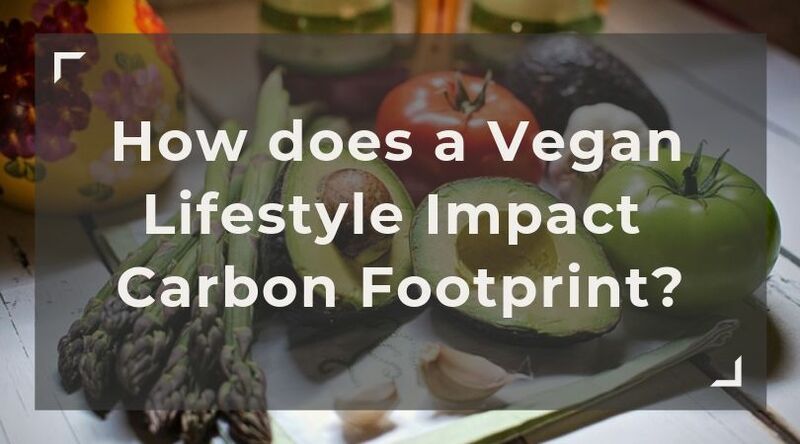 How does a Vegan Lifestyle Impact your Carbon Footprint? Adopting a vegan lifestyle means that you abstain from eating any kind of animal product and also avoid using any products that were derived from an animal. The vegan lifestyle is most often recognized with dietary implementations, cutting out not just meat, but also eggs and dairy products. While it can be a large lifestyle change, adopting a vegan or vegetarian-based diet can help lessen the production of animal agriculture, and therefore, lower CO2 emissions and your carbon footprint. There are many ways people can help bring awareness to saving our planet, and one of the most effective ways is through reducing our carbon footprint! In other words, your personal carbon footprint is a measure of how much carbon you are emitting as a result of your lifestyle and daily activities. 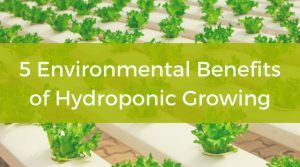 It is also used as a measure of sustainability, along with other measures like ecological footprint. 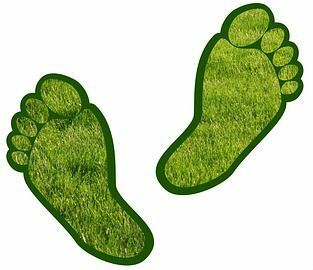 You can easily calculate your carbon footprint by using a carbon footprint calculator. What makes up your Carbon Footprint? The amount of electricity you use, your heat consumption, and the amount you drive are all factors that affect your carbon footprint. In fact, almost everything you do can contribute to your carbon footprint, although some things may contribute more than others. For example, when you buy a new phone or even food, carbon was emitted by factories or farming to produce those goods. Even though there are all kinds of factors contributing to our carbon footprint, one of the more impactful components is animal agriculture. According to the nonprofit organization PETA, livestock agriculture emits more greenhouse gases than any other type of transportation system combined! How does going Vegan affect your Carbon Footprint? Reducing our CO2 emissions by adopting a new diet that eliminates your intake of animal products is tremendously effective. 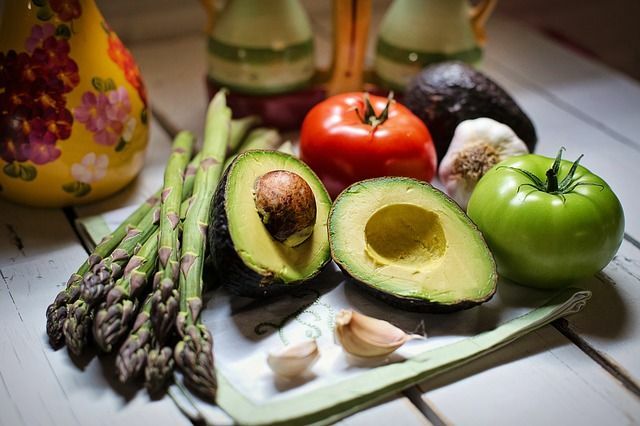 The most popular ways this can be done is through integrating a vegan or vegetarian diet into your lifestyle. In fact, if you ate just 75g of beef (equivalent to about one typical fast-food burger) once a day for one year, you would create carbon emissions equivalent to driving a gas car for 11,581 kilometres, or 7,196 miles! On the other hand, eating 75g of pasta once a day, for one year, would only create carbon emissions equivalent to driving a gas car for 180 kilometres (112 miles). That’s a huge difference! Check out this interactive tool on BBC to learn more about how the food you eat impacts your carbon footprint. Now, why exactly does meat have such a high carbon footprint? The answer is quite simple: farming animals is a lot more resource-intensive than farming plants. For example, animals have to drink water and eat plants, which have to be grown on agricultural land. The animals themselves also require land to live on, and need to be raised for long periods of time. In addition, the energy transfer from plants to animals is inefficient. When a cow, for example, eats a plant, not all of the plant’s energy can be used by the cow. What’s more, the cow uses energy for bodily functions and for growth, meaning that more energy is required to raise the cow, or any animal. Overall, meat consumption has a significantly larger carbon footprint than a vegan or vegetarian lifestyle. 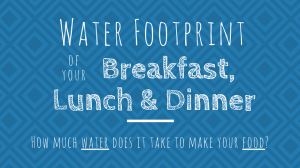 Related Post: How much Water does it take to make your Food? 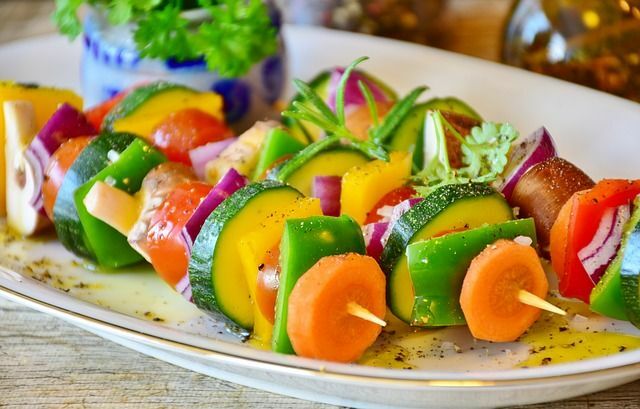 If you want to implement a vegan-based diet, the best thing you can do is to start simple and gradually adopt it. The best way to do this is to start with vegetarianism and then slowly move into incorporating more vegan lifestyle choices. If you’re new to eating vegan, it’s helpful to look up easy-to-make vegan recipes and also find restaurants in your area that offer vegan alternatives. Even if you don’t think you will be able to go fully vegan, you can still make a difference by changing your diet. For example, why not go for a meatless Monday? Or, try reducing your consumption of high carbon footprint meats like beef. Even small changes can make a big difference over the long run! If you want to adopt a fully vegan lifestyle, along with your diet, you can also begin to use vegan-based products. This is most often seen within the beauty community. Applying products to your body that are vegan, but also cruelty-free, is the perfect effort in both helping the planet and reducing the use of animal testing. There are numerous vegan beauty brands that are both available in-store and online. E.l.f. Cosmetics company is one of the most well-known drugstore beauty brands that not only offers a range of vegan-based beauty products but is also well-known for offering them at an affordable price. Hair dye is another popular beauty product that you should consider buying vegan. It’s worth to invest in hair dye that is not only vegan & cruelty-free, but will also cause zero damage to your hair follicles, considering 75% of women dye their hair. For example, hair dye company oVertone firmly believes in the idea of vegan beauty products. oVertone offers vegan and cruelty-free hair dye and is also a strong advocate for the environment. This year, they will be partnering with Sambazon on their Purple for the Planet initiative. For every purple hair selfie posted, Sambazon will purchase 5 acres of Amazon Rainforest to be protected through the Rainforest Trust. Brands like these are perfect places to start when looking to switch to the vegan lifestyle, and there are many others to choose from along the way! Disclaimer: I do not endorse any of the brands or products mentioned in this article. There are all kinds of changes that we can integrate into our lifestyle to help reduce our carbon footprint. Not only will these changes help our planet, but they can help us live a healthier lifestyle as well! Some simple ways are through limiting our use of electricity, gas, water and plastic consumption. A simple way to limit your use of electricity is to rely more on daylight and opt to turn on just one light instead of several. If you have a habit of leaving lights on in your house, make the investment of buying light timers. Applying timed lights within your home will make a huge difference in terms of saving money and energy. The easiest way to reduce gas emissions is by utilizing your own body heat and limiting your vehicle usage. The next time you’re tempted to turn the heat up a couple degrees, save yourself the money and instead, apply extra layers of clothing. An easy way to save gas on your car is by commuting to work with a colleague. If you’re close enough to your work, skip riding in a car altogether and opt to bike or walk to work! As far as water use goes, the next time you’re showering, try to limit your shower time to 5-10 minutes. You can also limit your use of water when going through your normal morning and night routines. When washing your face or brushing your teeth, keep your sink turned off and turn on the water when only necessary. In the long run, this will help prevent any water consumption waste. 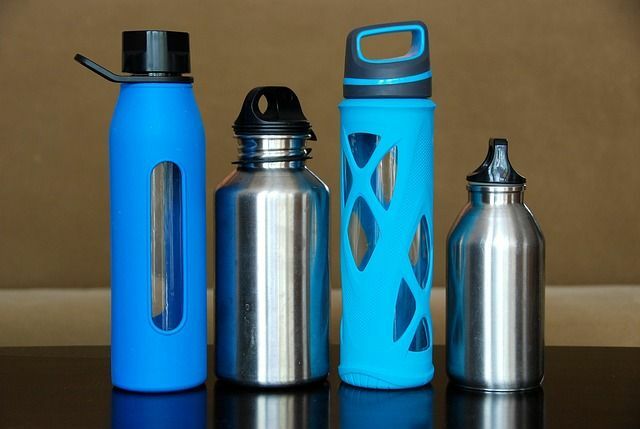 One simple and effective way to reduce your use of plastic is through using a reusable water bottle. 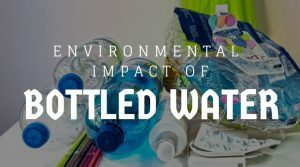 Using a reusable water bottle is not only more cost-effective than buying bottled water, but can also make a world of a difference in terms of plastic consumption. Another initiative in reducing plastic waste is to stop using plastic straws. Plastic straws are unnecessary items that have a big environmental impact. If you or your family members are fans of using plastic straws on a regular basis, ditch the straws entirely, or purchase reusable ones instead. Whether you choose to fully embrace a vegan lifestyle, only buy vegan-based products or make small changes here and there, the tiniest change can help make a huge difference for the planet. No matter how you choose to help save the planet, any which way that you can reduce your carbon footprint is something to be proud of. This Guest Post was written by writers at oVertone.co. Subscribe to get emailed whenever we post new content on being eco-friendly - You won't regret it! Why is E-Waste Management Important in 2019? Affiliates Disclaimer: As an Amazon Associate I earn from qualifying purchases.